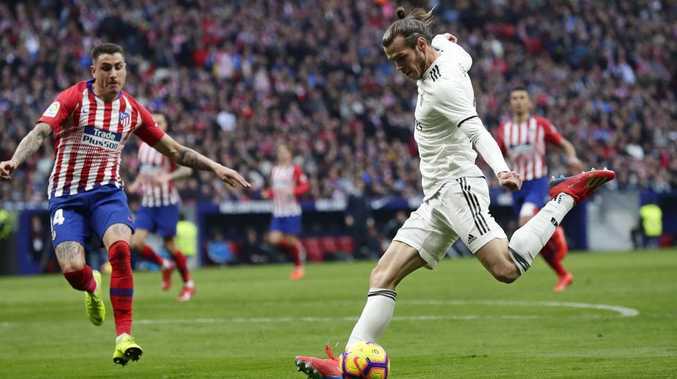 GARETH Bale could face a suspension of up to 12 matches because of a gesture he made toward fans during Real Madrid's 3-1 derby win at Atletico Madrid last weekend. The 29-year-old has been reported by La Liga to the Spanish Football Federation over his celebration after scoring Real Madrid's third goal. The statement said Bale could be suspended for four to 12 matches if he is deemed to have intentionally provoked the crowd. A statement on La Liga's official website says Bale "moves his right arm up towards his head in a signal of provocation towards the fans, creating a possibly obscene gesture by moving his other arm and striking halfway up his right arm." That gesture is considered offensive in Spain. However, it could also be a shorter suspension - or no ban at all if his celebration is not deemed to be provocative. The goal was Bale's 100th for Real Madrid. He joined the Spanish club from Tottenham in 2013.